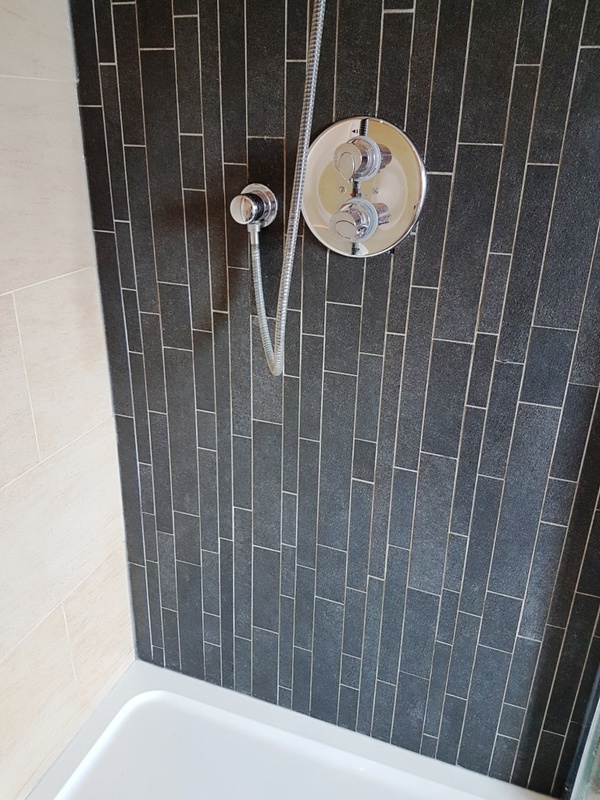 The pictures below are of a Porcelain tiled shower cubicle at a property I was asked to survey in the village of Osmotherley on the Western edge of the North York Moors national park. It had been tiled in two different types of Porcelain to achieve an impressive effect. Unfortunately, the tiles had now become discoloured with the usual build-up of soap dyes, soap scum and mould. To make things worse there were layers of silicon sealant that were more black than clear, making it look really dirty and unpleasant. The client had contemplated trying to replace this themselves but recognised they could not achieve a good finish. We discussed the work to be done and agreed a price and a suitable date. I first spayed the grout with Tile Doctor Pro-Clean in a 1:3 dilution with water to loosen the soap scum. Dependent on the situation and how soiled the tiles we will dilute the product accordingly. This was left to dwell for a short time, scrubbed and rinsed off. 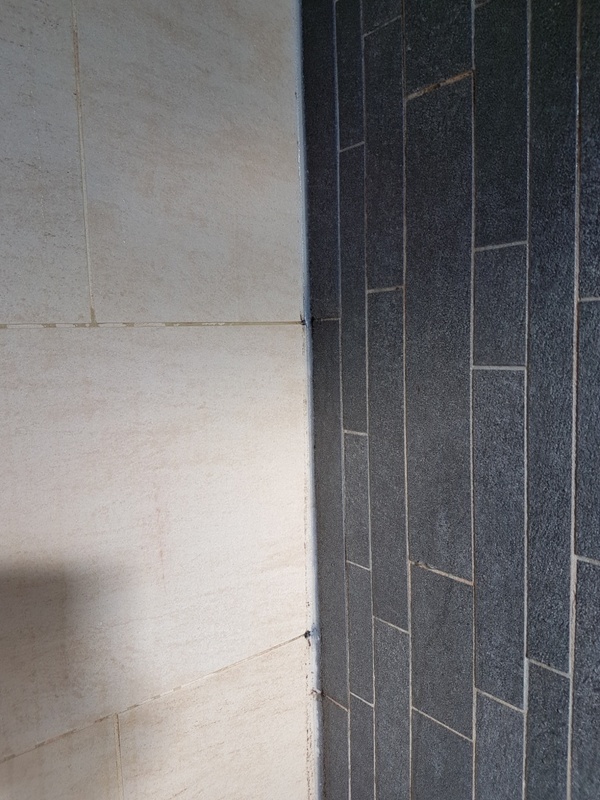 I then applied Tile Doctor Oxy-Gel to small 2 square metres areas of tile at a time and left for ten minutes before scrubbing it in to remove the grime. This process was repeated until all the walls were scrubbed down. It was amazing how much dirt and grime was removed. The resultant slurry was then rinsed off thoroughly with water and removed with the wet vacuum. 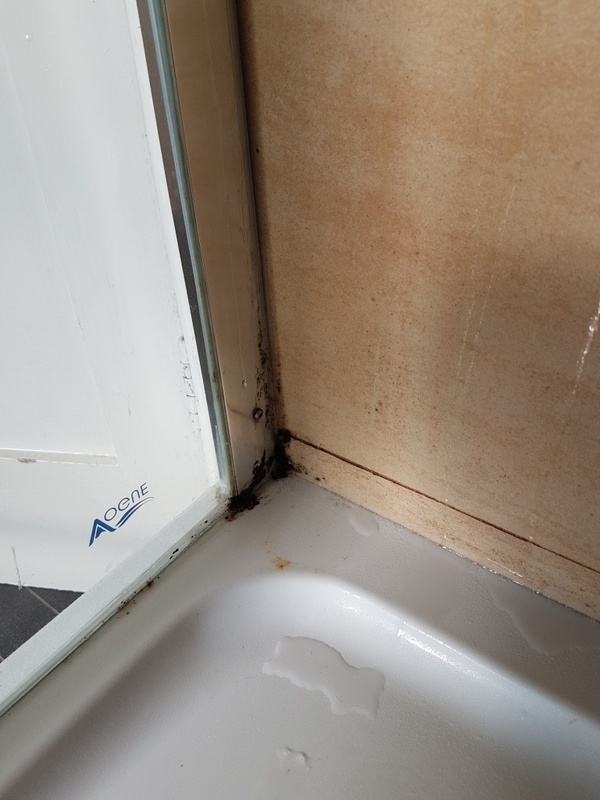 I then spent nearly four hours carefully removing the layers of silicone sealant, the sealant had been reapplied before on top of the existing by the previous owners. It was a tedious part of the job, but essential to remove all the sealant so we could get a nice finish when we came to reapply it. Also, to make sure there was no moisture trapped between the tile and tray l force dried it with a heat gun. 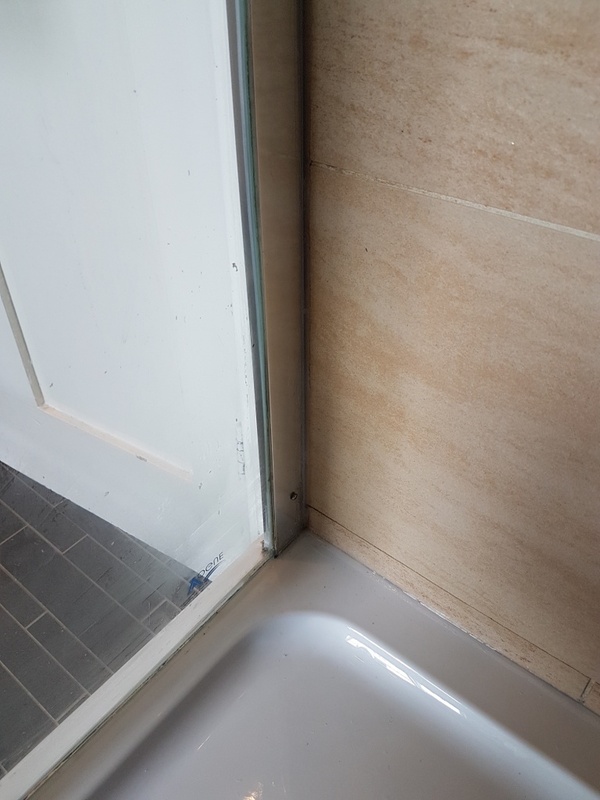 Then a thin coat of quality mould resistant clear silicone was applied to provide a water proof barrier around the edges of the shower cubicle. This ensures that no water can escape from the cubicle and get behind the tiles or worse still leak through the ceiling. It is critical that this is water tight. 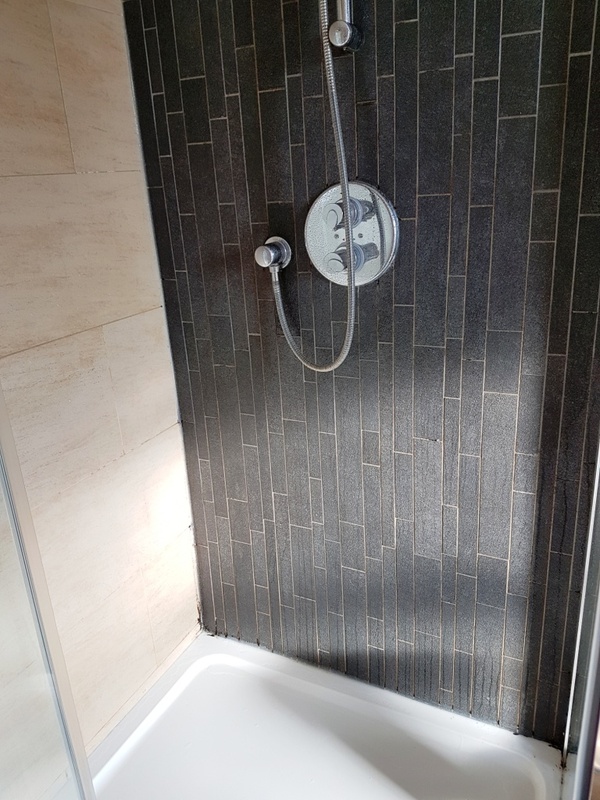 You can see from the pictures a massive transformation in the appearance of the shower, it now looks a lot more inviting and appealing to use! 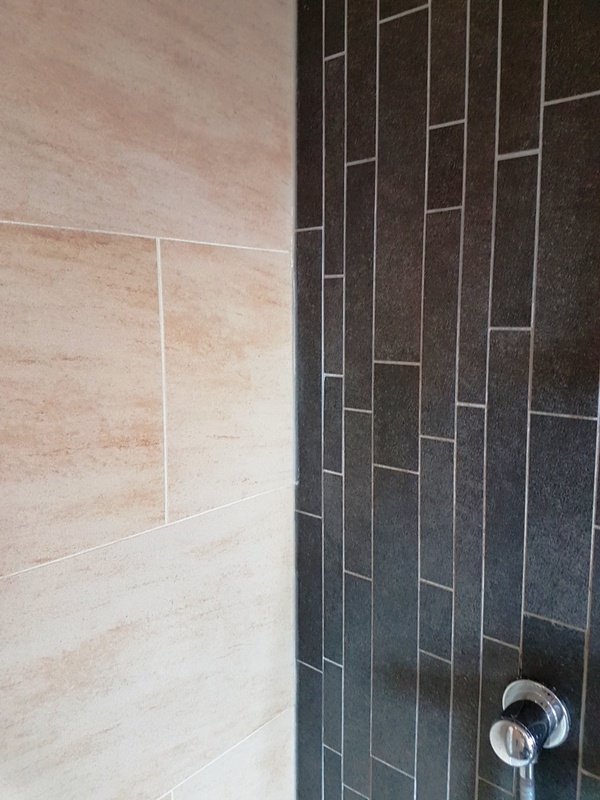 For aftercare I recommended the use of Tile Doctor Duo Clean which is an effective double action grout cleaner and mould remover designed for use in bathrooms.